“The ‘payments’ or tributes we make on the Black Line serve our people in many important ways, such as in our traditional system of public health. It is along the Black Line that we gather many classes of materials and elements necessary for our traditional spiritual work. It helps with our own development in general because it represents a kind of bank where we find the necessary elements for baptisms, marriage ceremonies, burial ceremonies, and payments for all class of actions. Perhaps you are aware that our ancestral territory is very much affected and our sacred sites impaired due to western development. We do spiritual work on the black line as a defense of our territory that represents all that exists in the entire world. This is why we call it the Heart of the World. 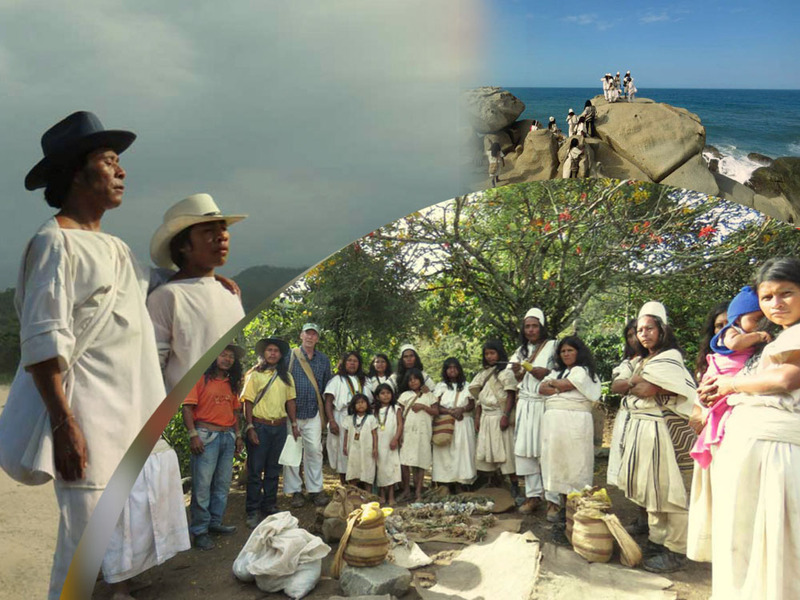 The Elders Project works with and provides assistance to the traditional authorities (Mamos) of the Sierra Nevada de Santa Marta (SNSM) in Colombia for projects aimed at strengthening their traditional practices. One of those projects is The Black Line Journey in which the four Indigenous Peoples from Santa Martha (Koguis, Arhuacos, Wiwas and Kankuamos) go on their sacred pilgrimage to make offerings to the 54 sacred sites along the Línea Negra in the Sierra Nevada de Santa Marta, Colombia so they can bring balance and healing to their people and their land and strengthen their traditions. The Sacred Fire Foundation funded The Black Line Journey in 2014.They are requested support for the 2015 Black Line Journey. The funds would be used to cover expenses such as transportation and food among others.